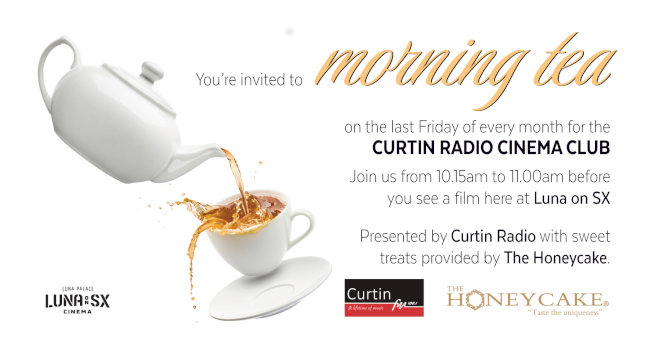 10:15am-11am on the last Friday of every month, presented by Curtin Radio at Luna on SX - before seeing a film, meet and discuss all-things-cinema while enjoying delicious slices of handmade traditional Czech layered cake from THE HONEYCAKE with complimentary tea and coffee. The yummy morning tea is available for all sessions that morning. Just click on the buy tickets link below to see which four morning session films you have to choose from each month!